Using a business letter format in your business communications conveys a sense of professionalism and set up the proper first impressions. Learning how to create a business letter format can take your business from “amateur hour” to real business status. 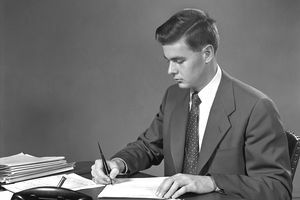 Business letters in the United States, use four common letter formats. Variations differ for other countries such as the date is composed in another style. All proper business letter formats are acceptable, but the block is more common. Block Letter Format: The common block letter format is formatted with all of your text flush with the left margin. Paragraphs are doubled spaced and all line text single spaced. The margins are a standard word processor setting of one inch. (see the image of Block Letter Format). Semi-block Letter Format: For the semi-block, the only difference between the semi and alternative block is as opposed to have the body text justified left, the first line of each paragraph is indented. Alternative Block Letter Format: The alternative block letter format moves the return address, date, closing, name, title and signature to the left side of the page. Simplified Letter Format: This format takes the same properties of the block letter with one exception, the greeting or salutation is eliminated. It is a helpful format when you don’t know the recipient’s gender is male or female, or Mrs. or Miss. Return Address: If you have company letterhead you can skip this section. Include your full business address and correct legal business name. You can also include your email address or phone number if needed by your recipient. Date: Follow the month, day, year format. Make your date current to the actual mailing date of the letter. Recipient’s Name & Address: Include the full name and address of the contact you are sending the letter to. The person’s title can be added along with the phone number if needed. Greeting: For the greeting use the person’s formal name and end with a colon for your business letter. Subject: Clearly stating the subject of the letter helps you, recipient, quickly know the context of what your letter is about. Body: Your letter body should start with a general introduction of who you are and the letter purpose. Include specific paragraphs outline the issue or problem. Close the body with a call to action. Every business letter should be short and concise taking into account of your reader’s limited time. Signature: Sign your name as the same as in your letter. Name & Title: Include your full name and job title. Encloses and CC: If you are sending additional documents include an enclosure line and if someone else is receiving a copy of the letter include cc. or carbon copy of the other receiver or receivers. You can simplify the entire process of creating a properly formatted business letter by using your word processing program. In Microsoft Word, you can use the letter wizard by going to the “Tools” function, select “Letters & Mailings” and click on the Letter Wizard. The wizard will prompt you through each field and allow you to choose a format. Using the proper business letter format is one step in making your business more professional. Take the time to make the right impression with your business.